This colorful retelling of the story of Joseph, his coat of many colors, and his amazing ability to interpret dreams is a blockbuster of Biblical proportions! The musical parable features a delightful array of musical styles, from country- western to bubble-gum pop and rock ‘n’ roll, entertaining young and old alike with such hits as “Go Go Go Joseph,” “Close Every Door” and “Any Dream Will Do.” Don’t miss this family friendly, high-energy production that’ll have you dancing in your seat! Run time is approximately two hours with intermission. JOSEPH AND THE AMAZING TECHNICOLOR® DREAMCOAT is presented through an exclusive arrangement with R & H Theatricals and The Really Useful Group Limited. Directed and choreographed by Dan Murphy. Musical direction by Rick Lewis. 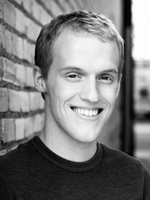 Eric Little (Joseph) is a Portland area native and is so excited to make his debut with Broadway Rose in Joseph. He was last seen as Tweedle Dee in Alice & Wonderland: A Rock Opera with the Oregon Children’s Theatre, and will be performing with them again in How I Became a Pirate this spring. He is a graduate of St. Olaf College in Northfield, Minnesota with a degree in Music, where he studied piano and voice and sang with the St. Olaf Choir. Among his favorite theater credits there were Sir Andrew in Twelfth Night and Bobby Strong in Urinetown. He also works as a keyboardist and accompanist in the Portland area. Leah Yorkston (Narrator) is thrilled to be back on the Broadway Rose stage! She was most recently seen this past holiday season starring in G.I. Holiday Jukebox at Broadway Rose. Leah has been seen performing everything from jazz, musical theater, opera, and even country western music. Recent performances include Heart Beatings at CoHo Theater, Wildspace A Go Go (WSAGG Productions), the rock opera The Beggars Opera with Opera Theater of Oregon, and Evita and Sleeping Beauty with Broadway Rose Theater. 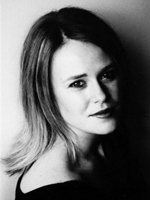 Other credits include operatic roles Susanna in The Marriage of Figaro at the Astoria Music Festival, Laurie in Gianni Schicchi at Portland State University and recording with country artist Travis Rush (Come and Get It). Leah is currently in the studio working on her debut jazz record release and is delighted to be a part of Joseph and the Amazing Technicolor Dreamcoat. Ron Palmblad, who plays Jacob in the show, shares some of his experiences with the Molalla Pioneer: Colton actor takes stage with Broadway Rose Theatre.